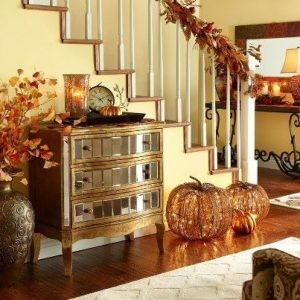 Fall is all about adding some warm, cozy texture to your home, and this interior design tip definitely does that! Adding a warm throw blanket to a couch or chair is a great, inexpensive way to make that happen. It will also make those spaces more inviting for family members and guests who would like to read a book, sip some tea, or watch tv on a brisk, fall day. Similarly, this next inexpensive interior design tip easily adds some comfort and texture. 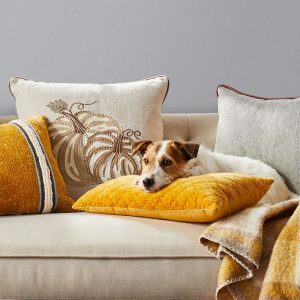 Try bringing in a few decorative pillows in various shapes, sizes, textures, and festive fall colors to instantly change the look and feel of any room. Woven knit rugs are another great way to add an element of warmth for fall. As the days get shorter and colder, family members and house guests will appreciate having a nice, plush rug underfoot. And choosing one in a warm, neutral tone like cream or sand will really add to the autumn experience. Gourds are a great home decorating option for fall because they’re cheap, cute, and versatile. 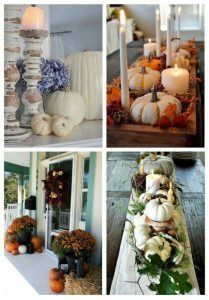 You can arrange them on a table to make a festive centerpiece, place them on front steps and porches to greet guests and add fall curb appeal, or add a few small ones throughout your home to help sprinkle that autumn feeling throughout. You also have the option to buy fresh or faux gourds depending on your preference. Faux gourds can be used year after year, while fresh gourds can soon be made into soup! Window wreaths are an inexpensive way to add fall flavor to the outside of your home—and there are many different options for using them. You can make your own using supplies from your local craft store, or buy pre-made ones as well. 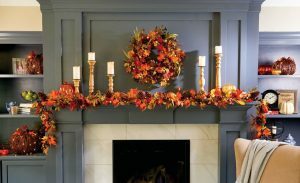 Choose wreaths that incorporate fall items like twigs, colorful leaves, faux pumpkins, and straw and then hang as many as you’d like on your home’s doors and windows. What a great way to greet family and houseguests alike this season. Ready for an even bigger change this fall? Check out all of the True Homes quick move-in homes available now in some of North and South Carolina’s finest communities. True Homes offers some of the best new home value available, featuring five distinct new home collections that allow you to get the home you want at a price you’ll love. To learn more about any True Homes community or floorplan, contact us today.